The object of this lesson is to emphasize the incredible value and ability of modern optics to somebody who values environmental awareness. While many people value having an in-environmental awareness, until you've experienced a lesson or two in the field similar to this one, the value of owning proper optics can be difficult to grasp. As a note to the reader, the first five pictures have not been enlarged or cropped and are for the most part as they came out of the camera. 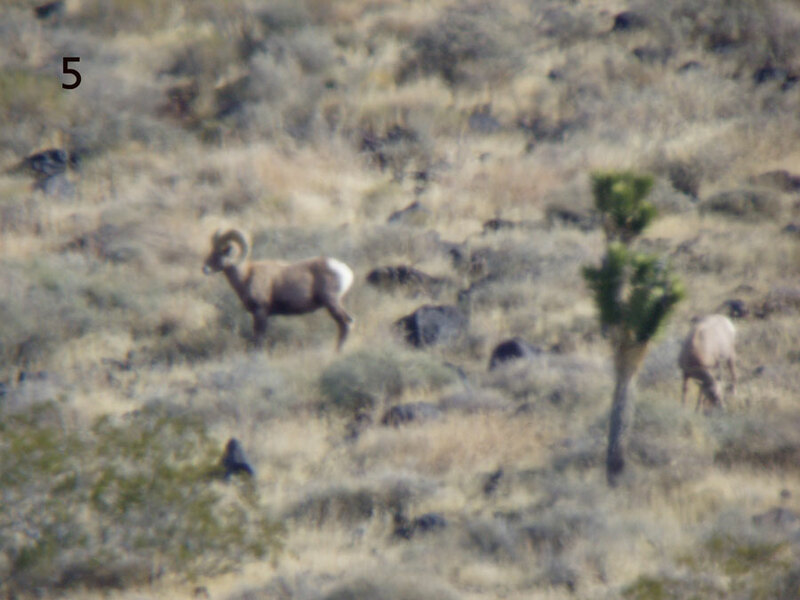 I found these desert Bighorn sheep using my 80 x 20 binocular on a tripod, and viewed and photographed them through an 80 mm spotting scope. In order to show scale and distance, I've taken this photograph showing the end of my 80 mm spotting scope at the bottom center of this picture. 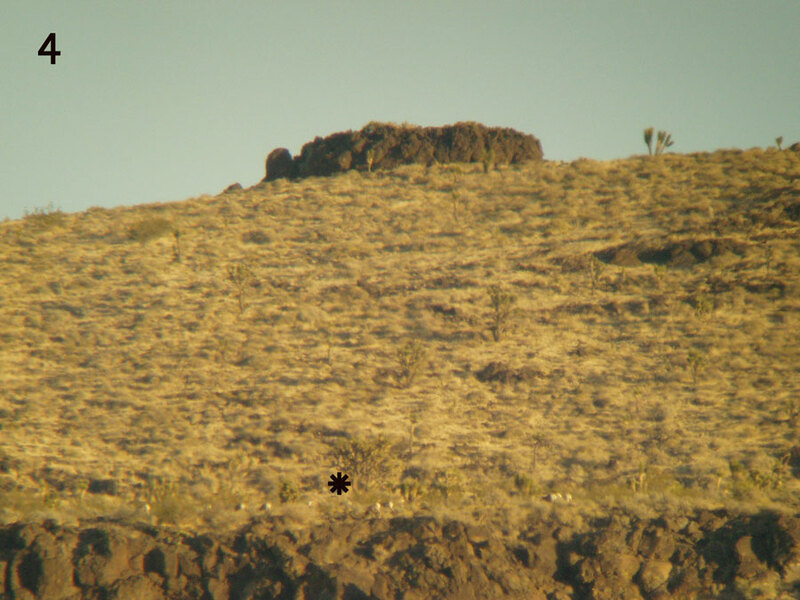 I have a star indicating the approximate location of the desert Bighorn sheep that we are going to zoom in on. From this vantage point I was able to search through all of the terrain in this picture and even more. I took this with a small digital camera zoomed up to three power and you can barely make out the little piece of cap- rock just above the Desert Bighorn Sheep. On the extreme right of this picture you can see the hill "B" that is approximately a quarter mile away. This picture was taken through the spotting scope at 20 power. You can just barely make out the small herd of sheep on the left-hand side of the picture near the star) At this distance and power all you can see of the sheep is a series of white dots. This picture was taken through the spotting scope zoomed up to about 40 power. At this magnification you can start to see the differences between individuals and some details of their individual behavior. This 80 mm spotting scope is now zoomed up to its maximum magnification of 60. Here we can identify the animals such as the mature ram and the ewe off to his right. Here it's worth noting that there are some differences between what the camera sees and what you would see looking through the spotting scope. The two major differences are that you would see a wider image through the spotting scope and at 60 power the spotting scope is difficult to look through. 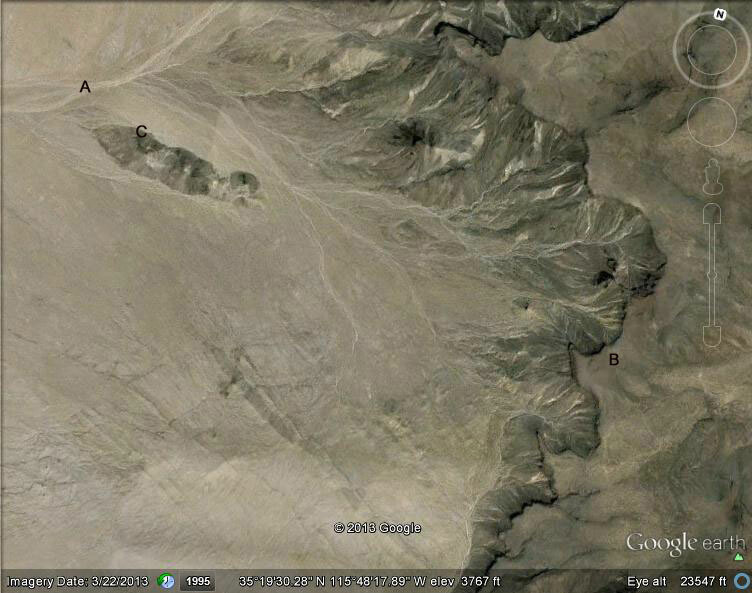 This satellite picture from Google Earth gives you a different view of where all of this happened. 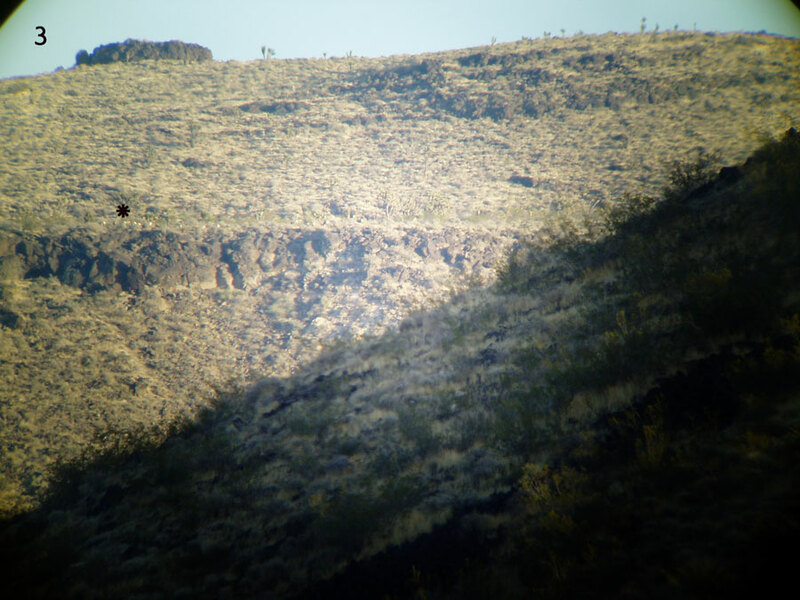 Starting with point “A” this is where I was when I found these desert Bighorn sheep, using my 80x20 binoculars. 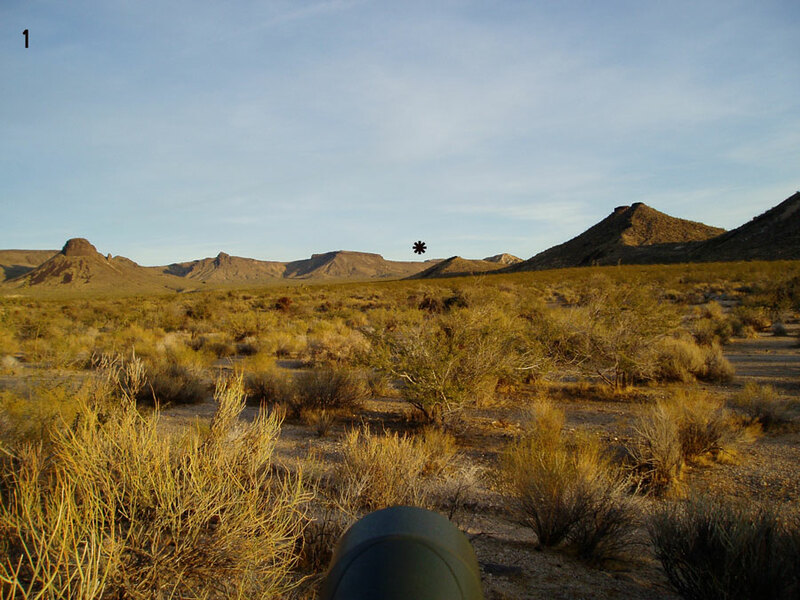 Point “B” is when the desert Bighorn Sheep are, approximately 3.3 miles away. Then we have point “C” an arbitrary point approximately a quarter mile away. The reason for point “C” is to illustrate the maximum distance that most people could hope see a Deer or Bighorn Sheep without binoculars. At this distance without binoculars one would see very little detail such as a condition of their fur or the subtleties of their emotional state. The viewing time would be relatively short as a herd at this distance would take evasive action almost immediately. With the advantage of modern optics one can stand at point “A” and watch point “B” over 3 miles away. On this day I watched two separate herds of Bighorn sheep come together and then separate over about a three-hour period. And during this time none of them were aware of me, but I fully aware of all of them. This is the power of Zoom. 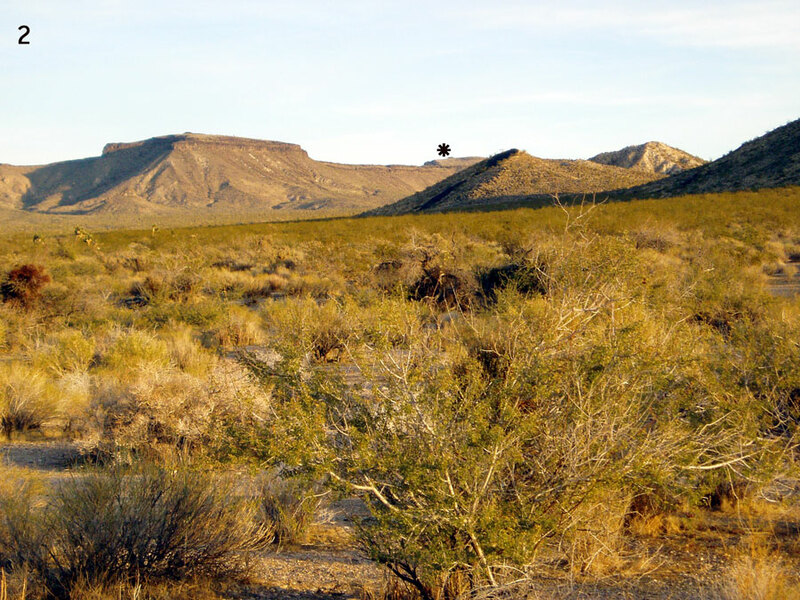 We follow the wind as it winds through the environment on a small hill in the Mojave Desert and learn first hand its effects and inner reactions with life.